Sauerland Event was the sole bidder at today´s pursebids in Rome for the fight for the vacant EBU heavyweight title between ex-champ Alexander Dimitrenko and Kubrat Pulev, by the amount of 95.305,00 Euro. Dimitrenko have been with Universum for his entire career but is now in a contractual dispute and if he accepts the fight against Pulev remains to be seen. He held the EBU title until November of last year when he was forced to give up the title due to an injury. Robert Helenius then beat Dereck Chisora for the vacant title but suffered a bad shoulder injury and had to relinquish the title. 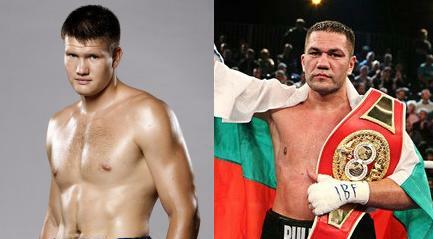 Pulev, from Bulgaria, is promoted by Sauerland. Sauerland have two weeks from today´s date to notifiy the parties of date and site.